Summer is the busiest time at Matt Talbot Kitchen & Outreach, and supplies are being depleted quickly. 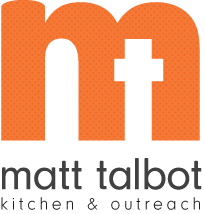 In June Matt Talbot served 8,668 meals and provided 2,008 outreach services. Because of the high demand for services during the summer months, Matt Talbot is in urgent need of food pantry and outreach items. Donations of canned meats, rice, pasta, pasta sauce, soup, cereal, and canned fruit are needed for the food pantry. For many of the working poor who come to Matt Talbot, the emergency food pantry will be the only food in their home until the next paycheck. Every effort is made to provide a bag of food that includes the makings of a complete meal for multiple days. Currently the shelves in the Matt Talbot pantry are bare in many areas and staff is not able to put together a complete food pantry for those seeking assistance. Other items needed for outreach are deodorant, razors, and white socks.